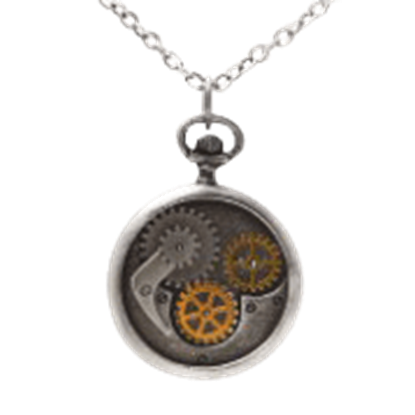 We carry steampunk necklaces and pendants for every occasion and style! 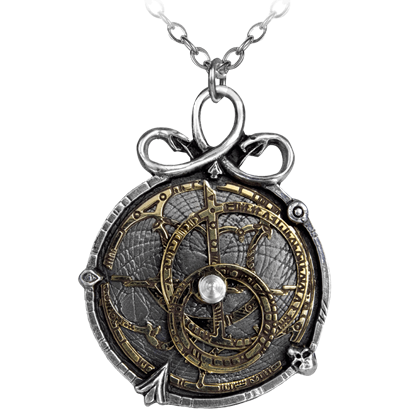 In a world powered by steam technology, fashion branches into many unique looks, as you can see from our wide array of steampunk pendants, steampunk lockets, steampunk chokers, and other Neo-Victorian necklaces. Some of our steampunk necklaces look like they belong around the neck of an inventor or engineer, while other Neo-Victorian pendants embrace period elegance suitable for aristocrats. Many pieces incorporate steampunk mechanics, including things like gears, cogs, cranks, pistons, and other machinery in their design, while others show off skeleton keys, cameos, butterflies, and vintage elements. Still others embrace a nautical theme straight out of Twenty-Thousand Leagues Under the Sea, displaying anchors and octopuses. 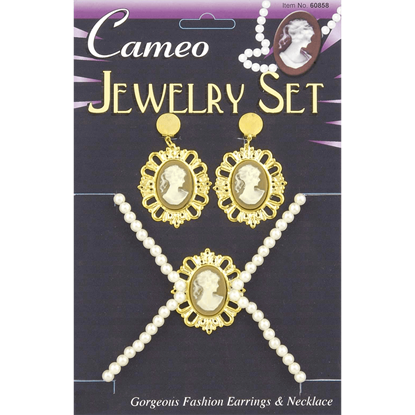 No matter what kind of outfit you are wearing, our Neo-Victorian jewelry will add charm and eccentricity. The Angiustralobe Necklace features a working miniature of the 18th century tool used to measure the path of destiny among heavenly bodies. 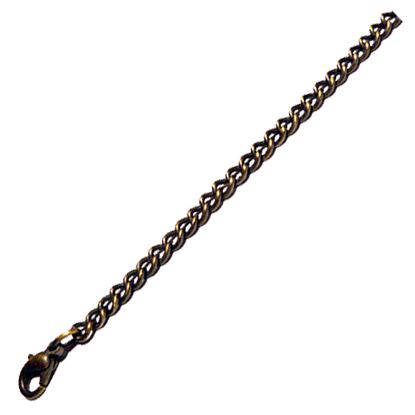 The gothic instrument employs a dark design tailored to the crueler twists of fate. 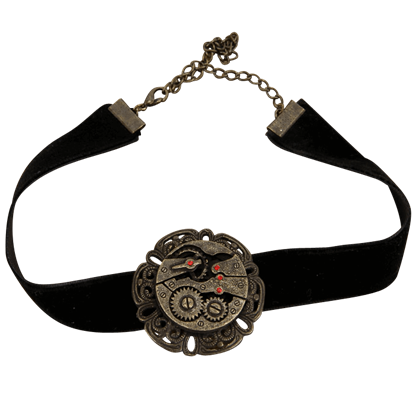 The Black Steampunk Gear Choker adds a touch of elegance and ingenuity to any look, whether it is overtly Neo-Victorian, gothic, or more modern. This lovely accessory is a treasure, no matter which time period captures your fancy. 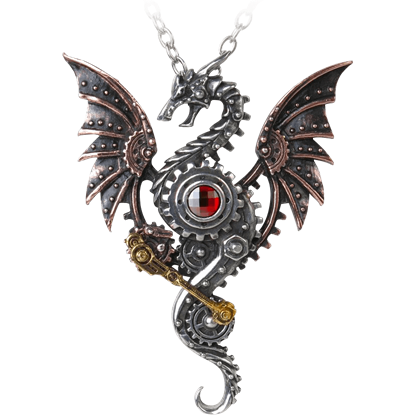 A Victorian mad scientists dream or futuristic creation of ambition and genius, the Blast Furnace Behemoth Necklace depicts a monstrous yet benevolent steam-powered mechanical dragon of immense proportions. 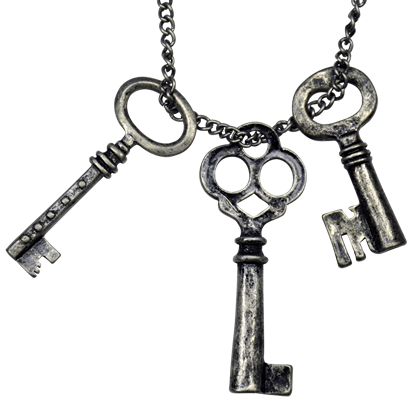 How nice it would be to carry a skeleton key around at all times! This Burnished Silver keys Necklace features three such little trinkets that look like they would open their fair share of locks. Apparently the artisans of a steampunk setting were not lost on the appeal of the skull as a decoration. 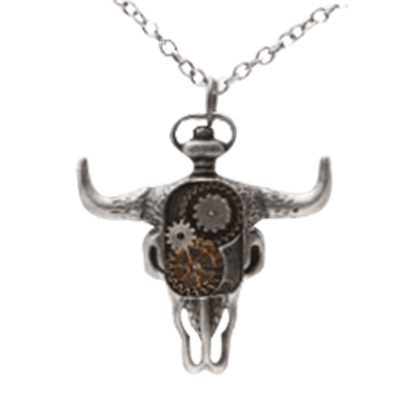 This Clockwork Bison Skull Steampunk Necklace takes the grim skull of the bison and applies a liberal dose of steampunk style. Nothing can escape being upgraded in the realm of technical fantasy! 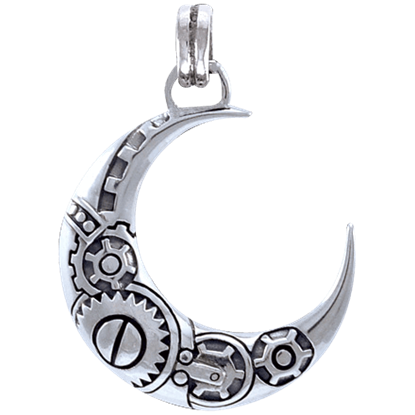 Even the moon in the Clockwork Crescent Moon Pendant has been redesigned and repurposed to present incredible steampunk elements with an exclusive pagan touch. 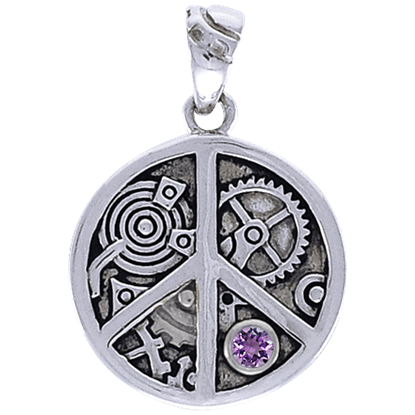 The Clockwork Peace Pendant makes combining bohemian and industrial tastes easier than ever! With its sterling silver build, this little steampunk pendant provides an eclectic charm of opposing styles in a fun and fashionable way! 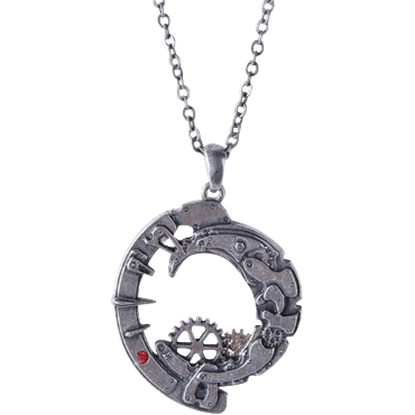 The heart and soul of a mechanically-minded lover, this gear necklace bears the color of life-blood and the intricate workings of a complex mind. 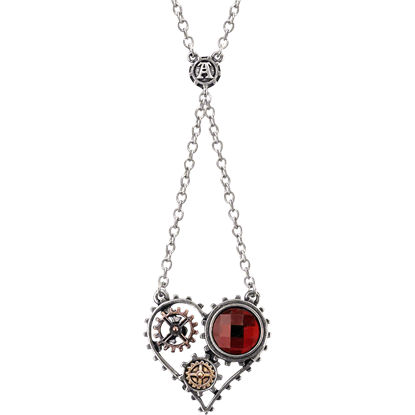 The Coeur du Moteur Necklace makes a great addition to steampunk attire. After a foray into a steampunk setting, it seems a shame to have to leave without a souvenir. This Compass Gear Steampunk Necklace embodies the core of Steampunk design with Victorian style blended with clockwork technology. Display the beauty of the night sky and the unique design of steampunk style at the same time with this Crescent Moon Steampunk Necklace. This stunning geared necklace will look wonderful around the neck of any steampunk enthusiast.